Like most brands I try, I first came across Re:Beauty on Instagram. I've been doing their social media photography for a few months and was very curious to try their luxury skincare line. I do like all-natural brands, but what I like most of all are skincare products that blend nature and science, as Re:Beauty does. Of everything I've tried over the years, I find that these luxury skincare brands always produce the best results. Of the various luxury skincare brands I've tested, I truly like Re:Beauty the best, for several different reasons. It's a simple line with minimal products. As much of a product junkie as I am, it can get overwhelming. I love that with just a few Re:Beauty products, my skin has been in the best shape it's been in since my early twenties (I'm just a few years shy of 40 now.) And with Re:Beauty, I don't need to use mists and toners and countless serums to maintain it...just a few everyday products and their incredible face masks. 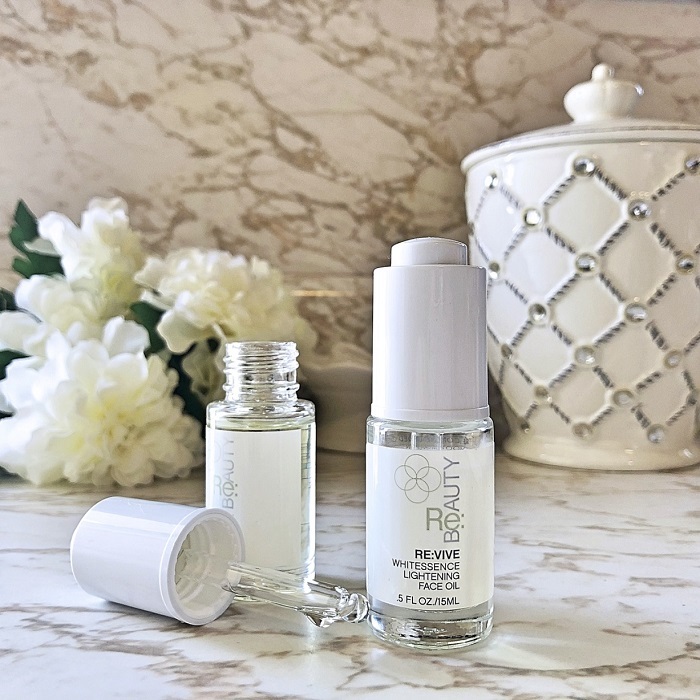 To get my skin balanced and calmed, the Re:Beauty founder suggested I start with their two cleansers and their RE:BALANCE Nourishing and Hydrating Pure Face Oil. 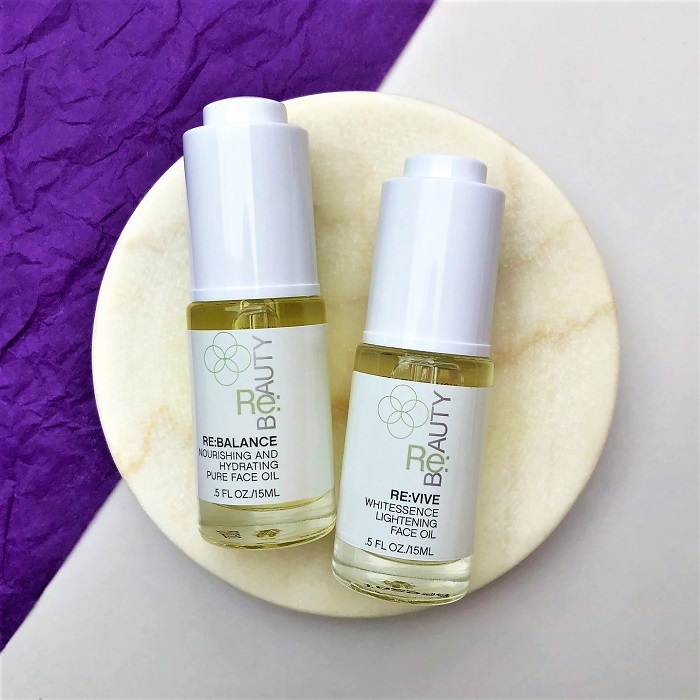 The RE:BALANCE oil is a concentrated pure face oil that helps reduce blemishes and inflammation, helps to regenerate skin, and improves the balance of hydration and oil production. I recently picked this as not only my favorite facial oil but as my number one beauty product pick of the entire year here at KCL Beauty. This did calm and moisturize my skin, and what I loved most was how it balanced my combination oily/dry skin. Made with Chia Seed Oil, Re:Balance contains high levels of omega 3 fatty acids to help nourish and feed the skin while combating breakouts. 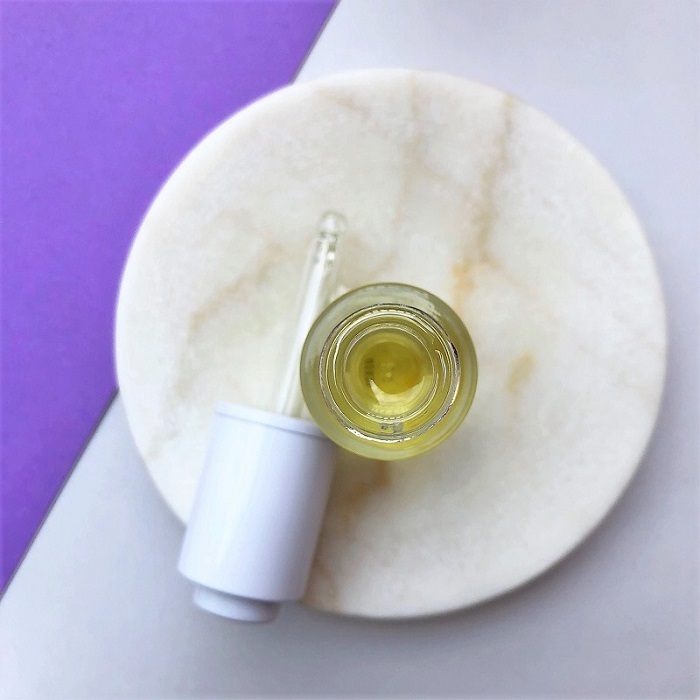 Thanks to this facial oil, I haven't had a break out or dry patches or any redness in months! *For a chance to win the Re:Beauty RE:BALANCE face oil, head to this big Insta giveaway here >. The cleansers have also become favorites of mine. You can get one type of the cleansers with different sets, but I love to use both of them for different reasons. The RE:NEW Gentle Creamy Cleanser for example is thick, creamy, and luxurious and perfect for removing makeup. It's a gentle and effective facial cleanser with anti-aging ingredients and anti-inflammatory properties to soothe and moisturize the skin. It also has a wonderful fresh scent. The RE:EXFOLIATE Exfoliating Cleanser on the other hand is perfect for deeper cleansing and exfoliating. It deeply cleanses and unclogs pores with natural Jojoba, and exfoliates and moisturizes with coconut oil and gentle exfoliating beads. It's so important to remove dead skin before applying a serum or mask, so I like to use this cleanser morning and night and anytime I'm about to use a face mask. My favorite mask at Re:Beauty (and anywhere really) is without a doubt the RE:FRESH Moisturizing Overnight Mask. This is truly a way to get beauty sleep! I slather it on after my usual skincare regimen and wake up with a glowing complexion and fewer wrinkles. I love that it doesn't require any patches. I just slather it on and let it soak in. While it says "overnight" you can also use this during the day underneath your makeup. It's non-greasy, gentle on sensitive skin, and won't clog pores; so it's easy to use anytime. 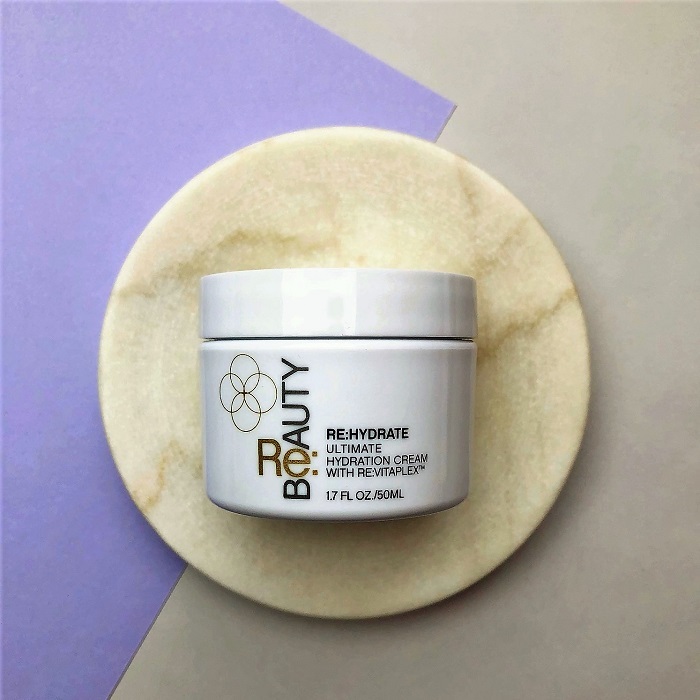 Just like everything at Re:Beauty, this powerful anti-aging mask includes Re:Beauty's proprietary, powerful ingredient complex: Re:Vitaplex™, which helps repair, restructure and re-illuminate your skin. It also contains marine extracts, which provide deep hydration and boosts collagen production. Vitamin B3 visibly reduces the appearance of skin aging by improving hyper-pigmentation from over exposure to the sun and helps to reduce redness, blotchiness and revive both the tone and texture of the skin. Prunus Mume Fruit Extract fights chronic skin yellowing and darkening through its powerful anti-glycation action, and effectively restores skin luminosity as well as elasticity and firmness. Plankton Extract is shown to detoxify and energize skin cells while providing antioxidant protection from environmental stress. Extracts from this desert species are also able to plump the skin from within. Limnanthes Alba (Meadowfoam) Seed Oil supports proper skin barrier formation that locks in natural moisture to soften and prevent dryness. Also for treating stubborn dark spots, the founder at Re:Beauty suggested I use the RE:VIVE Lightening Face Oil as a spot treatment. It's packed with Vitamin C, Vitamin A, and Vitamin C as well as Boldo Tree Extract along with Licorice Root Extract that help lighten the complexion while soothing and promoting radiance and an even skin tone. And despite how effective it is at moisturizing, I find that this oil absorbs very quickly and isn't at all greasy, so it's easy to layer with other Re:Beauty serums and/or creams. My must-have serum is the RE:JUVENATE Ultimate Anti-Aging Serum. First I have to say how much I love the lightweight texture of the Re:Beauty serums. These days a lot of "serums" are really facial oils, but for a powerful delivery of anti-aging ingredients, it really helps to layer a thin lightweight serum underneath an oil and/or cream. This concentrated fast-acting serum diminishes wrinkles, improves skin elasticity, and helps boost new collagen. Re:Juvenate also hydrates the skin from within for a plumping effect, and it contains powerful antioxidants that protect against premature aging due to UV rays. Personally, I've noticed it has diminished my fine lines and deep wrinkles. I use it on my face, my neck, my hands; and I can't go a day without it! Nicotiana Sylvestris Leaf Cell Culture contains a natural blend of tri-peptides with a host of anti-aging benefits. 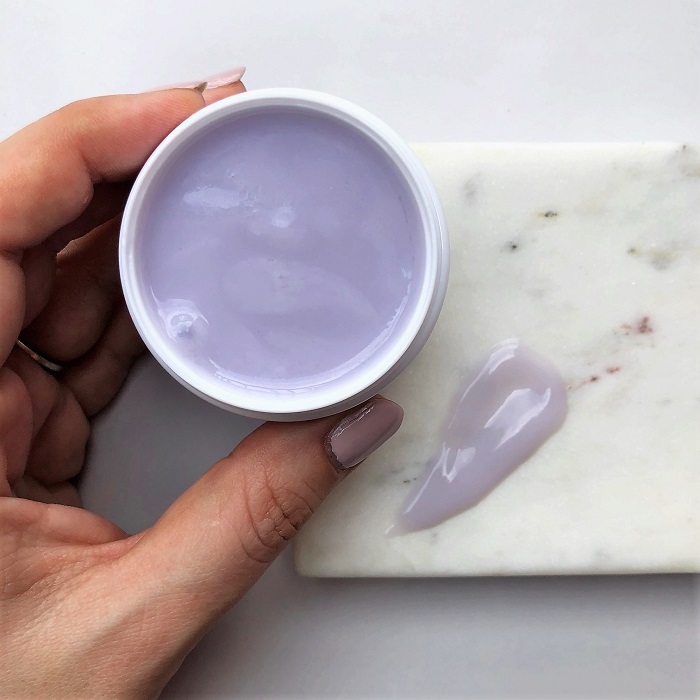 Demonstrated to help diminish wrinkles and improve skin elasticity this extract also helps protect and repair DNA, stimulate cellular energy and help boost synthesis of new collagen while protecting against degradation. Psilanthus Bengalensis Leaf Cell Culture Extract has strong energizing and anti-oxidant qualities with powerful re:plumping, wrinkle-filling and moisturizing benefits. There are just a few key products left in addition to the cleansers, serum, facial oil, and masks. First, my new favorite face cream is the RE:HYDRATE Ultimate Hydration Cream. 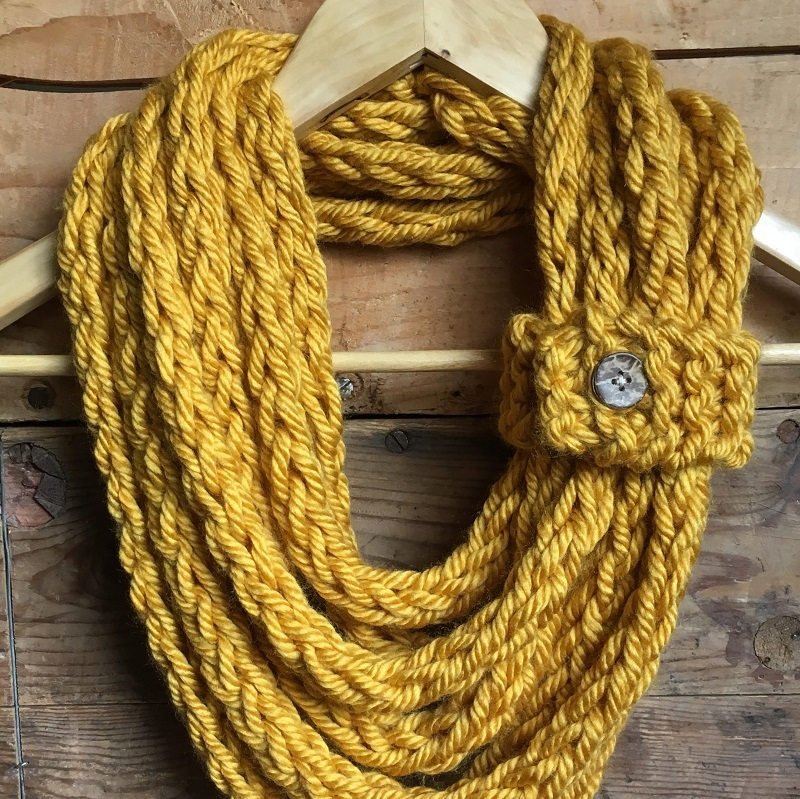 This is a best-seller and customer favorite at Re:Beauty, and I'm not at all surprised. 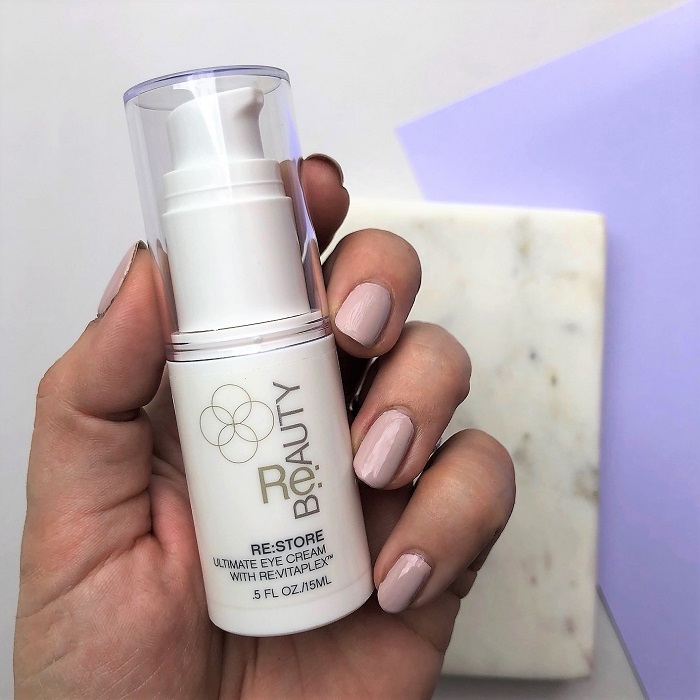 Like everything at Re:Beauty, this cream contains a host of powerful botanicals that aid in anti-aging and moisturizing. In addition to its long list beneficial ingredients, the texture is incredible! I often find face creams to be either too heavy or not effective. This Re:Hydrate cream is light enough for me to use even with the facial oil and serum. I don't use it every day am and pm, as I've found that I simply don't need to use it that often whenever I'm using the facial oil and overnight mask. Whatever your skin type, if you struggle to find the right face cream, I highly recommend you give this one a try. Finally, the last must-have Re:Beauty product in my skincare routine is their RE:STORE Ultimate Eye Cream. It contains a powerful blend of peptides that help smooth, restore, and moisturize the delicate area under the eye. I noticed right away that it provides an immediate plumping effect on my deep wrinkles. As well as all of the anti-aging botanical extracts, this eye cream also contains caffeine to help combat puffiness and dark under-eye circles! 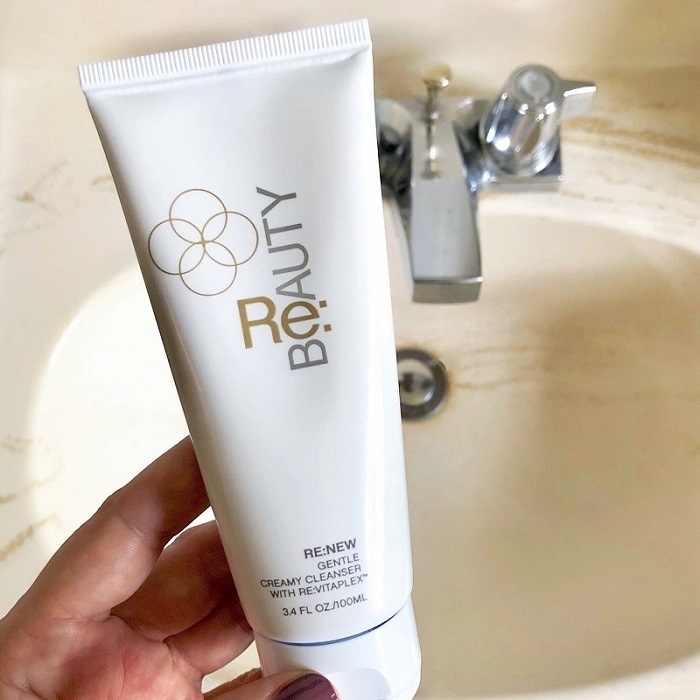 With all of these power-packed botanicals and products that are so gentle and effective no matter your skin type, I can guarantee you I'll be sticking with Re:Beauty, and I definitely recommend you give them a try. As I mentioned above, you have a chance to win a Re:Beauty facial oil here >, and follow Re:Beauty on Insta for a big giveaway coming up soon, where you'll have the chance to win a complete set plus mask from Re:Beauty! What are your current skin issues and the challenges you face with finding the right products for your skin? Leave me a question in the comments below. 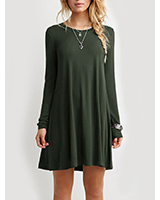 If you'd like to go ahead and shop, use my link below to receive 20% OFF your order! Click Here to Shop my Re:Beauty Regimen! I've never heard of this skincare line but I love that it helps out a lot with balancing your skin! I'm all for a youthful looking skin! haha! Oh, I need to check this out! Sounds like an amazing product, love! Great roundup dear. I'd love to try these, they seem really great, especially the Rubus Idaeus Leaf Cell Culture.